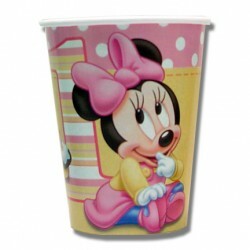 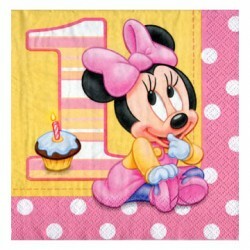 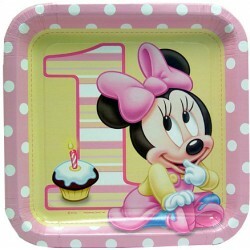 Minnie 1st Birthday Party SuppliesThere are 35 products. 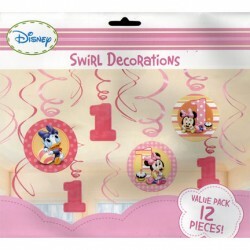 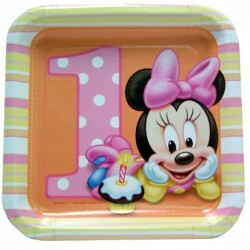 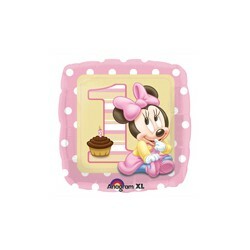 A pack of 8 minnie mouse 1st birthday dessert plates 7 inch size. 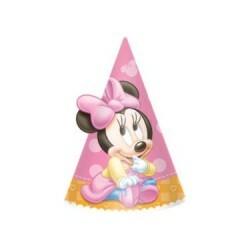 Birthday hats are the ultimate accessory for young children's birthday parties. 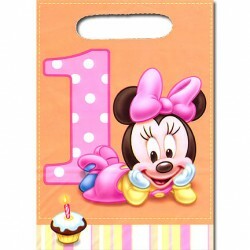 8/Pkg - Plastic loot bags measure 6.5in.x9.5in. 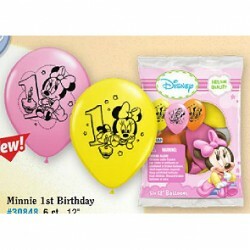 Minnie 1st birthday balloons. 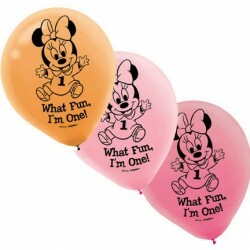 Packet of 15 helium quality 12inch size balloons. 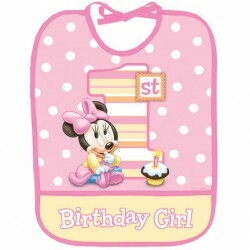 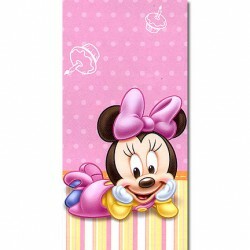 Minnie mouse 1st birthday balloons packet of 6 helium quality balloons 12 inch size, assorted colours.